1) Ethnography: a full text description of published ethnographic work for each animal group or species, including all cultures and locations mentioned, organized according to four categories of information with subheadings for large amount of text: Hunting/Fishing/Harvesting, Preparation, Uses other than food, and Beliefs and taboos. 2) Biology: a full text description of the basic biology and ecology of each animal group or species group, including geographic distribution, habitat, distinguishing characteristics, and life histories. 3) Cultures: a clickable list of cultures mentioned for each animal group or species, organized by regions and language groups ordered alphabetically, and linked to the main Cultures tab. 4) Nutrients: a downloadable table of published nutrient composition of food parts for each animal group or species, including different preparation methods and more than 60 nutrient entities. For animal groups or species with many entries, the reader should allow time for the nutrient table to load completely. See the main Nutrients tab for more details on how to navigate the information presented in the nutrient tables. We hope that readers noting omissions, discrepancies, and errors in the text will view these as opportunities to better recognize the contributions of Indigenous Peoples to our global heritage of food knowledge. Accordingly, we have included a feedback link on the top right of all pages and hope readers will use this link to direct us to additional academic literature, reports, or community publications containing pertinent information.  This is a clickable and expandable weighted tree describing the importance of more than 500 species of animals to the traditional food systems of Indigenous Peoples in northern North America. Click on a circle to expand the tree and on an animal name or group name to go to the corresponding page.